This complete kitchen remodel involved improving a tight arrangement through intelligent redesign of the floor plan and the selection of coordinated, light-colored materials. 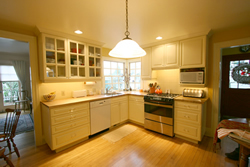 The existing kitchen was demolished back to the studs and the original maple floors were preserved and refinished. The original fridge location was where the microwave is in the first photo, making entry into the room from the back door feel constricted. Moving it across the room to this built-in location opened up the space and improved the size and shape of the "work triangle". 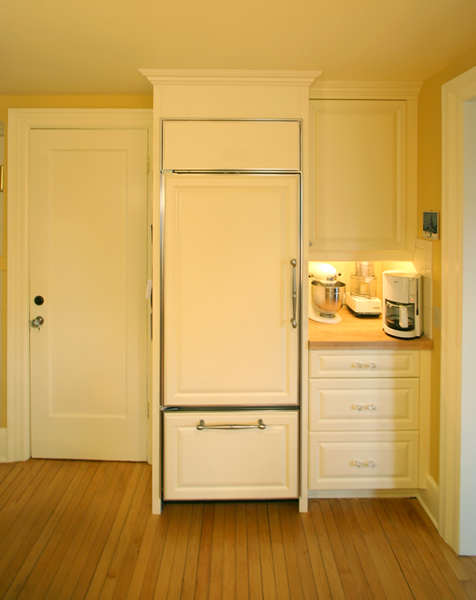 The work triangle is the total distance between the fridge, the sink, and the stove. The original maple butcher-block counter tops were reinstalled and matched to the new granite counters. Can-lights were carefully positioned to illuminate the counters. 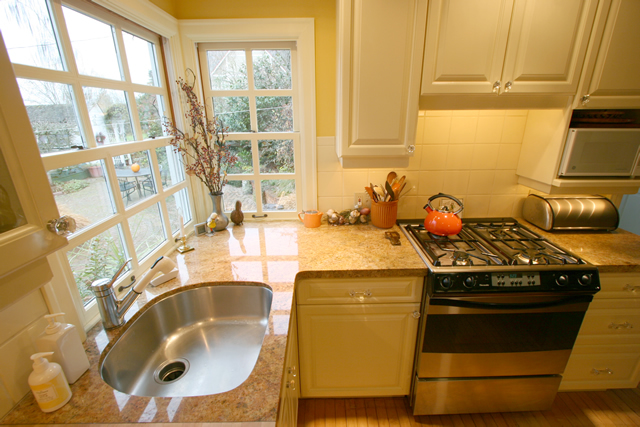 The new windows were carefully positioned to meet the countertops and let in the maximum light. The tile backsplashes end beside the windows in line with the meeting rail of the upper and lower sash. 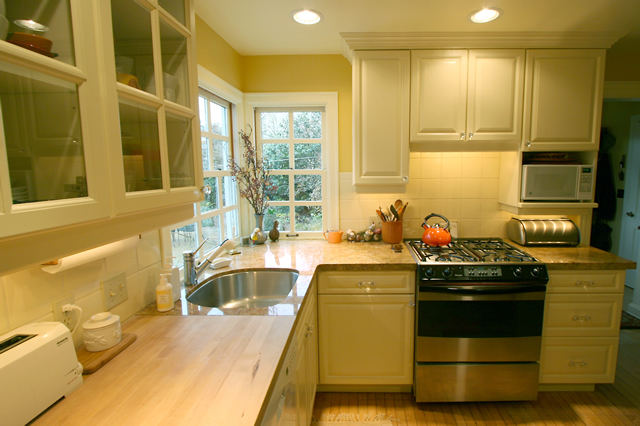 Under-cabinet lighting completes the composition and illuminates the work surfaces.